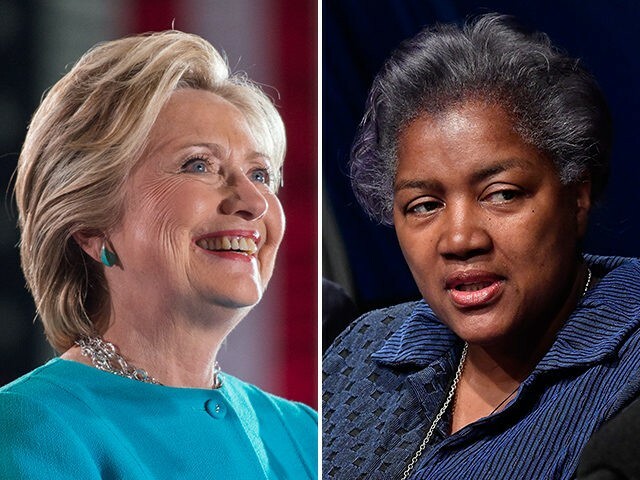 Former interim Democrat National Committee chairwoman Donna Brazile predicts twice-failed presidential candidate Hillary Clinton will ultimately rule out a third bid for the White House in 2020. Speaking before attendees of The Wall Street Journal CEO Council on Monday, Brazile was asked whether Clinton will launch another campaign for the highest office in the land. “No,” Brazile replied, predicting the already crowded field of potential Democrat presidential candidates could reach 30. A second unnamed Clinton aide told the news outlet that a run is not in the cards. “I think it would be pretty damn clear if she was,” the aide said. However, not everyone is convinced the 71-year-old will opt to stay on the sidelines in 2020. In a Wall Street Journal opinion-editorial last month, former Clinton pollster Mark Penn wrote the former Secretary of State is gearing up to challenge President Donald Trump, who defeated her in the 2016 presidential election. Perhaps the person most responsible for keeping buzz about a possible bid alive is Clinton herself, who said last month that she would like to be president and would hold off on thinking about running until the midterm election were in the history books.